Group A for the 2014 World Cup features an interesting mix of teams with hosts Brazil being the leader of the pack here, while Cameroon, Croatia, and Mexico round out the rest of the group. 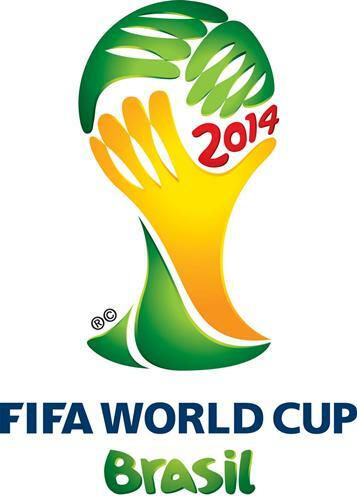 Brazil and Croatia open the World Cup on Thursday, June 12 with their match kicking off at 4:00 pm ET (21 GMT). Brazil are clear favorites to win the group as well as being favorites to win the World Cup. William Hill Bookmaker put them at 10/3 to win the tournament with Germany and Argentina at 9/2 while holders Spain are at 11/2. It is a fairly close spread, but, as hosts, Brazil do hold an edge. While Brazil are mostly nailed on to win the group there is still the matter of who will finish second and advance to the next round. Neither of the three teams left are exactly pushovers and any one of them could produce a shock. They all have talent scattered throughout. Croatia has some notable players including midfielders Luka Modric (Real Madrid), Mateo Kovacic (Inter Milan), Ivan Rakitic (Sevilla), forwards Mario Mandzukic (Bayern Munich), and Nikica Jelavic (Hull City), as well as defender Dejan Lovren (Southampton). While they have some excellent attacking players they could struggle to keep goals out. Cameroon’s most well known player is almost certainly Chelsea’s aging striker, Samuel Eto’o. Most fans will also recognize midfielder Alex Song and defender Benoit Assou-Ekotto. Like Croatia, Cameroon could struggle to keep goals out, but I would be more concerned with their ability to score goals. Mexico’s qualifying run was full of drama and they very nearly did not even qualify as it took them a two leg playoff to make it in. Still, they have managed to battle their way into the World Cup and will make it interesting while they are there. While I believe that Mexico can get a draw from Brazil, there is the potential for Croatia to do the same against Mexico. Croatia should be able to finish above Cameroon, since I do believe that they can win that match. There is a chance that Croatia could even take second place in the group, particularly depending on how well Mexico is able to play. The winner of the group will go on to play the runner-up for Group B while the runner-up here will play the Group A winner. The most likely candidates for these two would be Spain or the Netherlands, with Chile and Australia also in Group B.